The new blockbuster hepatitis C treatments Sovaldi and Harvoni more than doubled Gilead’s sales in the last quarter of 2014 compared to the same period in 2013. Both Sovaldi (sofosbuvir) and the combination treatment Harvoni (lepidasvir/sofosbuvir) were approved last year in in Europe, in January and October respectively, while Sovaldi was launched in the US in December the year before. Globally Harvoni registered a recent $2.1 billion in sales figures, while Sovaldi came in slightly lower at $1.7 billion. Both treatments dwarfed those achieved by Gilead’s other products – the next-highest seller, HIV treatment Atripla (efavirenz/emtricitabine/tenofovi) which earned $925 million in sales in the last three months of 2014. Its hep C drugs, which have been criticised for their ‘unaffordable’ prices, boosted Gilead’s fourth quarter sales of antiviral drugs from $2.6 billion in 2013 to $6.7 billion last year. Overall its sales jumped from just over $3 billion for the fourth quarter of 2013 to $7.2 billion for the same period a year on. But the company has warned investors that now it may be forced to negotiate significant discounts for Sovaldi and Harvoni with pharmacy providers in the US, who have been switching to Abbvie’s cheaper Vikera Pak (dasabuvir). Janssen and Merck also have alternative drugs to compete for the hepatitis C market. In a conference call the company said it will make a ‘gross to net adjustment’ of 46% on US sales of its Harvoni and Sovaldi. Industry analysts assume Gilead may have to offer financial discounts in the region of 25-30 per cent. 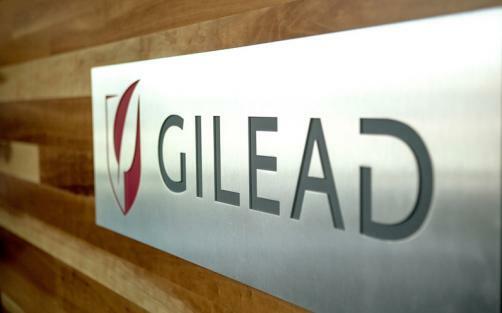 But Gilead remains bullish about this year’s profits however, saying that it was “confident a substantially higher number of patients will be treated in 2015” to generate the sales to offset the discounts. Chief executive John Martin says: “The past year was marked by the launch of our first oncology product, a second hepatitis C virus medication, regulatory filings for a next generation HIV medicine, and a doubling of product revenues relative to 2013.